I love chocolate. I like reading and writing. I like horses, dogs and dolphins. My favourite colour is blue. I am in year 7. My most favourite scratch character is Gobo. 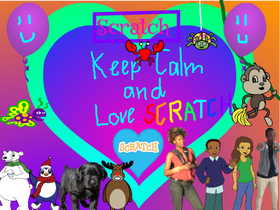 Keep Calm and love scratch!